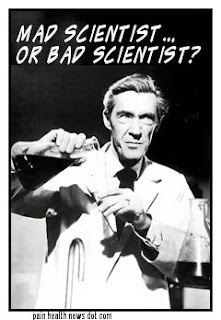 Straight to the Point: Mad Scientist? Lifted from the great blog, "The Big Picture", by Barry Ritzholtz. Page after page of professional economic journals are filled with mathematical formulas leading the reader from sets of more or less plausible but entirely arbitrary assumptions to precisely stated but irrelevant theoretical conclusions. -Wassily Leontief, Science, Volume 217, 9 July 1982, p. 106. Always a good idea to keep in mind when you read a news article that begins with "A new study released today said,..."